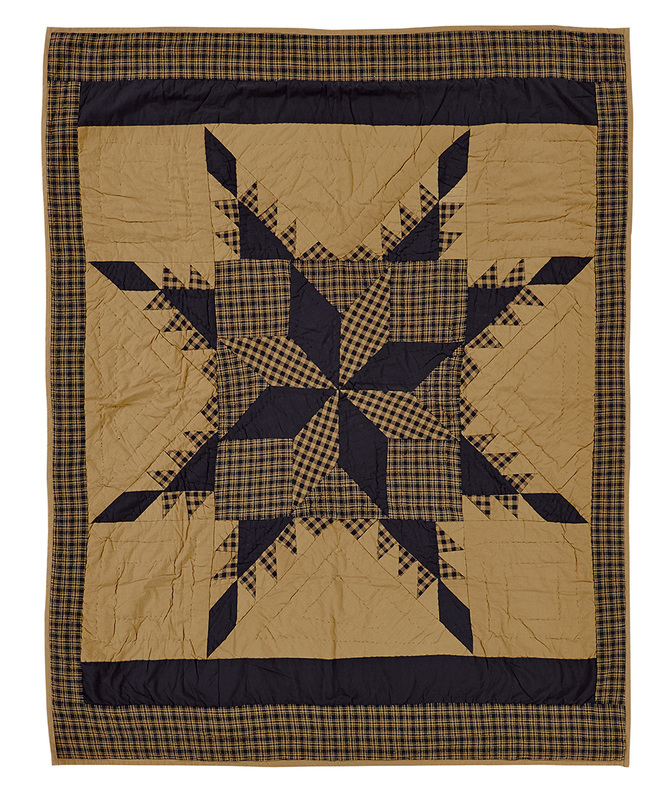 The Navy Star Quilted Throw measures 50"x60". The throw is quilted with stitch in the ditch quilting with a 3.25" rod pocket for display purposes﻿. Farm House Throw measures 50x60", 100% cotton shell and lining, machine pieced, hand quilted. 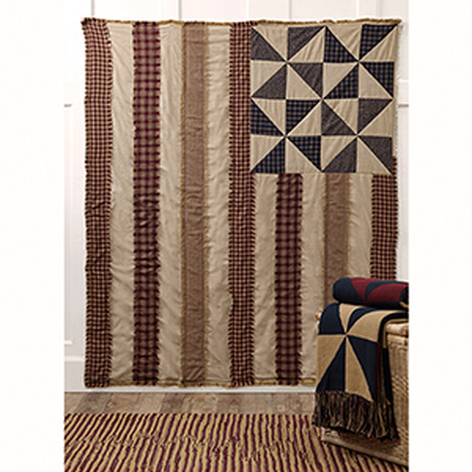 The Stratton Quilted Throw measures 50"x60". 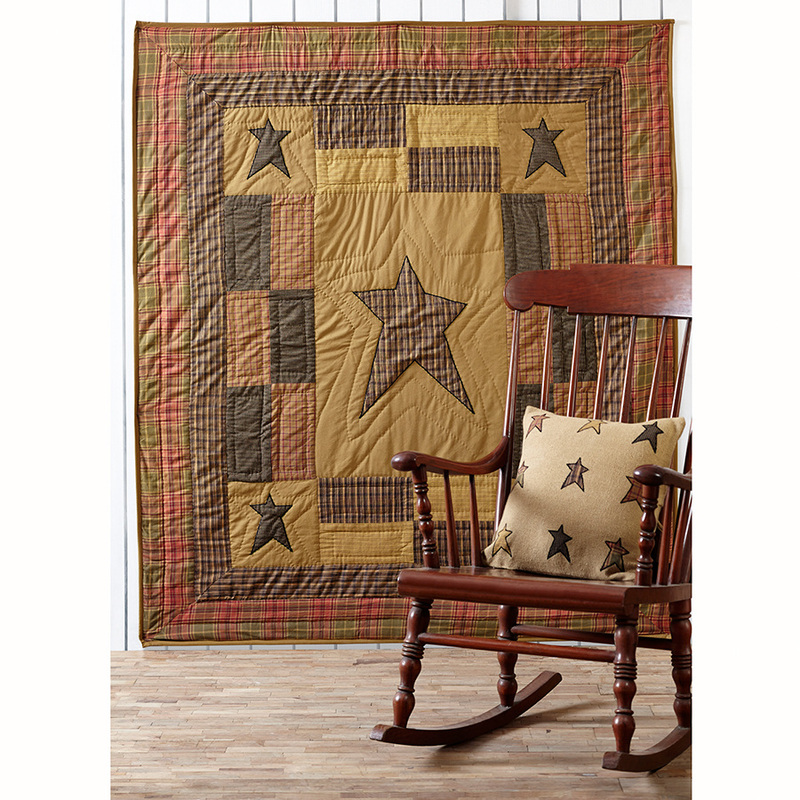 The throw is quilted with stitch in the ditch quilting with patchwork details and appliqued stars in tan, olive, reds and black and a 3.25" rod pocket for display purposes. 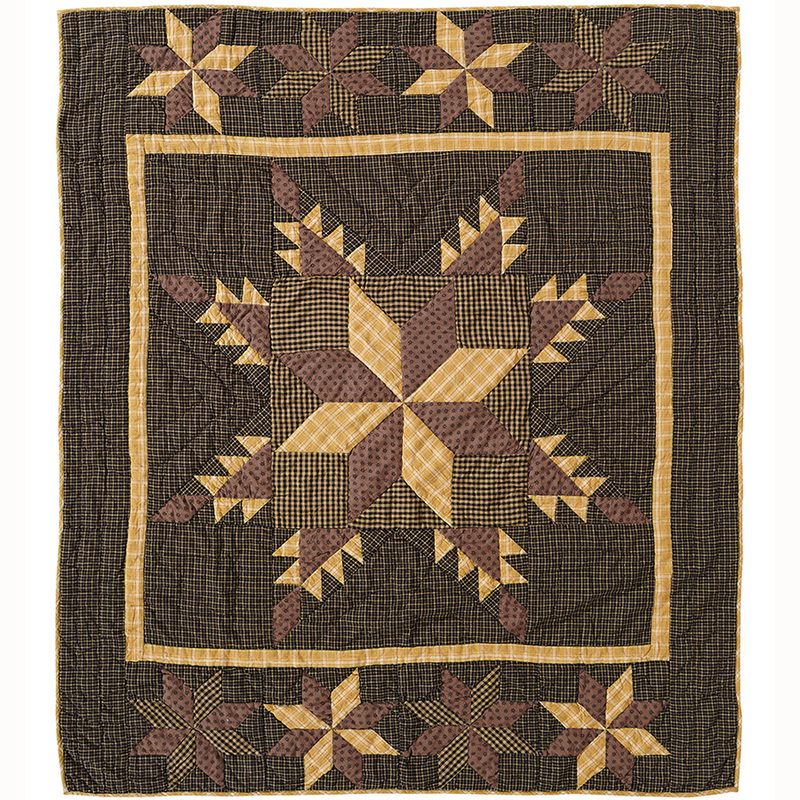 This Millsboro Throw Quilted measures 50"x60" in a log cabin block pattern. 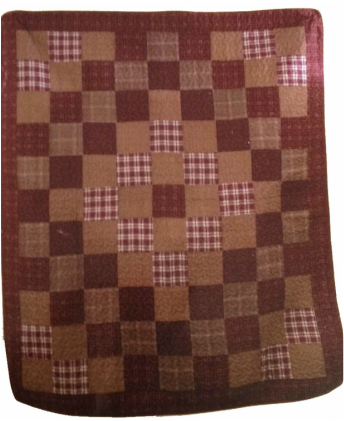 The throw is hand quilted with "stitch in the ditch" quilting with a 3.25" rod pocket for display purposes. 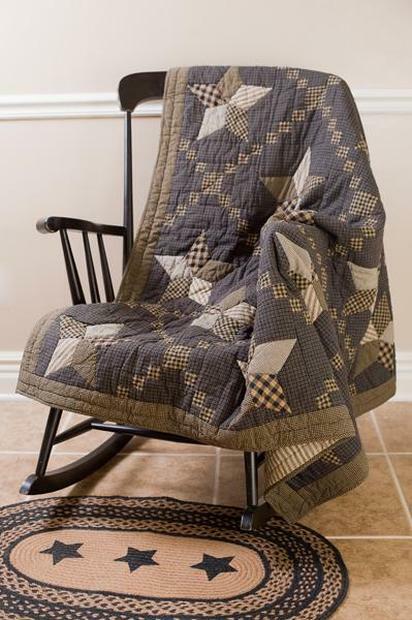 The Millie Quilted throw measures 50"x60". The throw is quilted with stitch in the ditch quilting with a 3.25" rod pocket for display purposes. 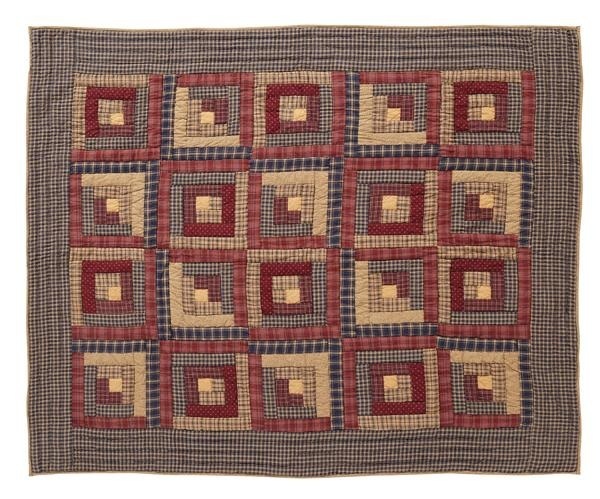 The Providence Quilted throw measures 50"x60". 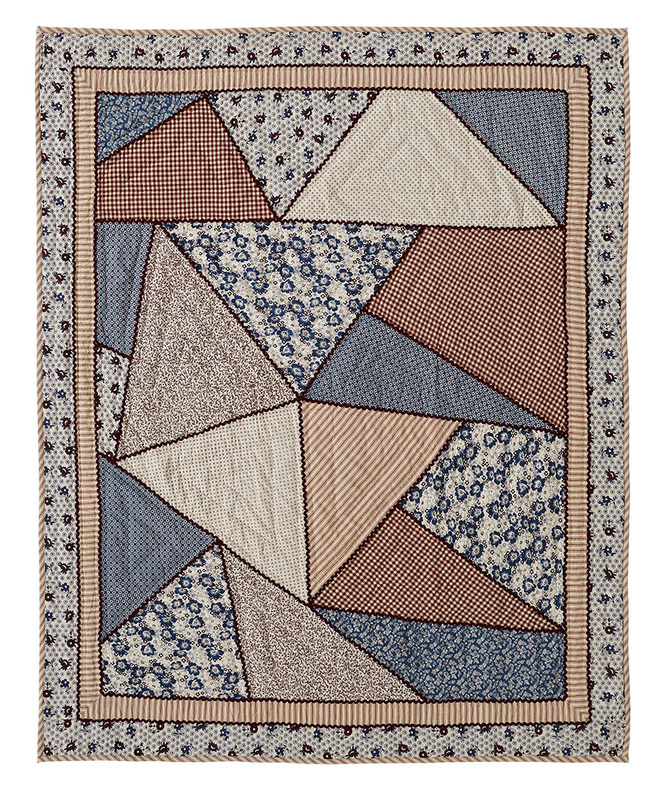 The throw is quilted with stitch in the ditch quilting in a tan, dark red and navy blue pinwheel. Back fabric is a tan and navy blue ticking stripe with a 3.25" rod pocket for display purposes. 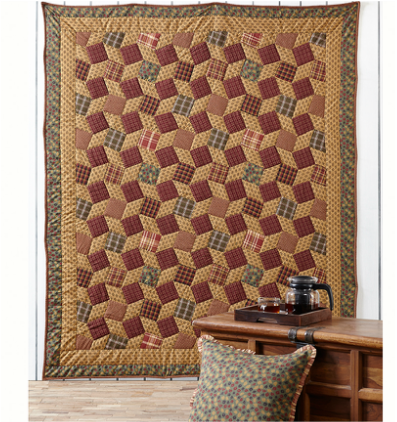 The Landon Quilted Ashton & Willow throw measures 50x60". 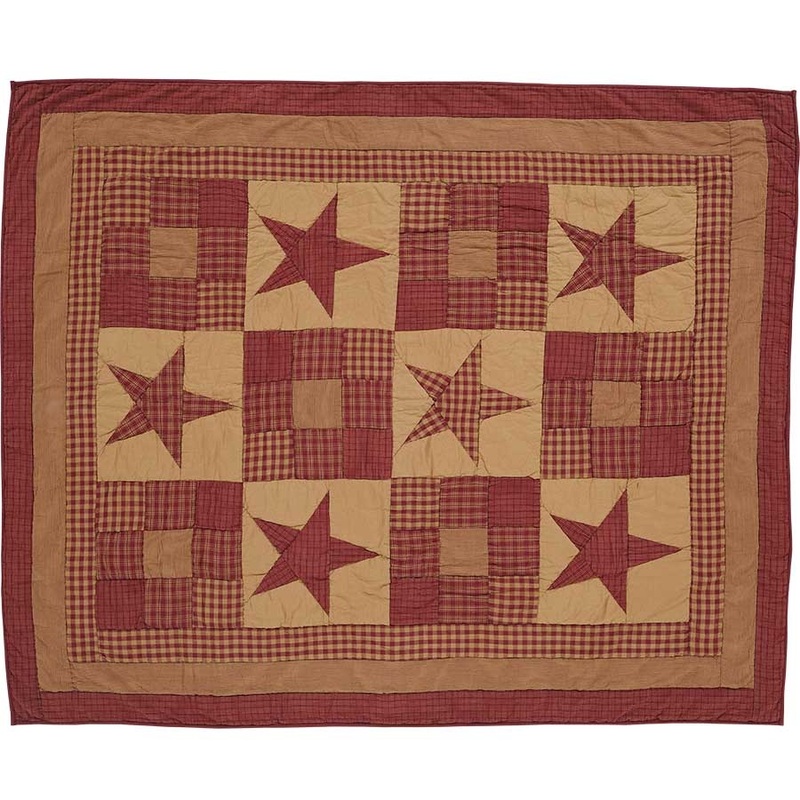 The large center star is red plaid and brown, flanked by checked khaki fabric and detailed with stitch in the ditch and echo quilting. Each corner also features a similar star. Back fabric is a checked khaki. 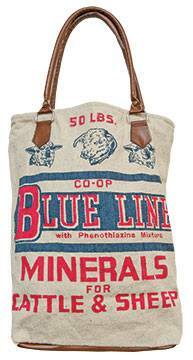 It has 100% cotton shell and is hand quilted. The Primitive Collection (Item FC-905|SP18) throw measures 50x60". The features red, brown and checked fabric. It is 100% cotton. Amherst Quilted Throw measures 50"x60". The throw is quilted with stitch in the ditch quilting with a 3.25" rod pocket for display purposes. Queen & King Quilts Can Be Ordered in Each Design. 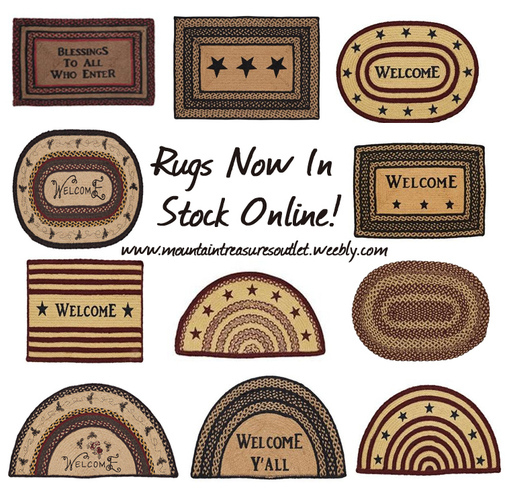 If you wish to order a quilt please contact us at 276-467-2306 for pricing as only throws are available at this time online at the website and at our store. Mountain Treasures Outlet is trading under Mountain Treasures Thrift Store a project of Dungannon Development Commission, Inc.